Sometimes when bags of potatoes are on sale buy-one-get-one free at the market, my husband and I have to indulge, even though it leaves us with 6-10 lbs. of potatoes on our hands. Our worst fear is that we’ll decide against it, but then next week we’ll need potatoes and feel like total chumps because we missed out on a free bag! 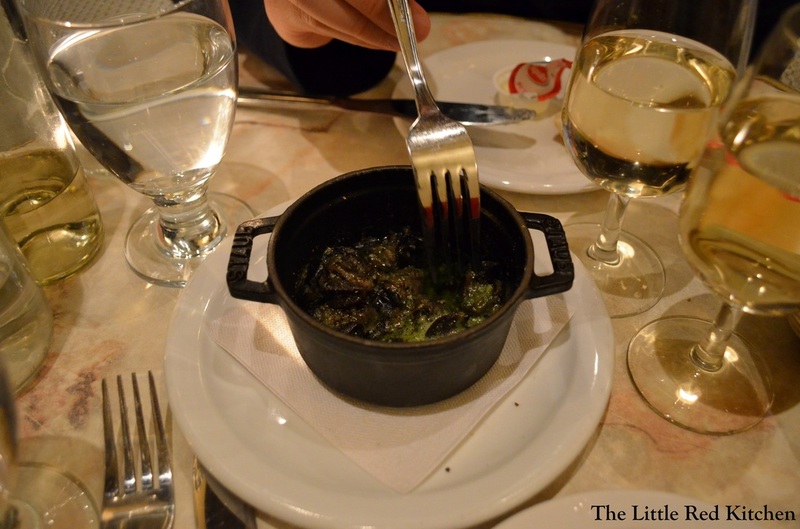 However, that leaves us with a bunch of potatoes, and in need of recipes!On our anniversary trip Doug and I had escargot en cocotte, which was snails cooked in a small sturdy pot with a wonderfully luscious sauce of olive oil, tons of parsley and garlic. 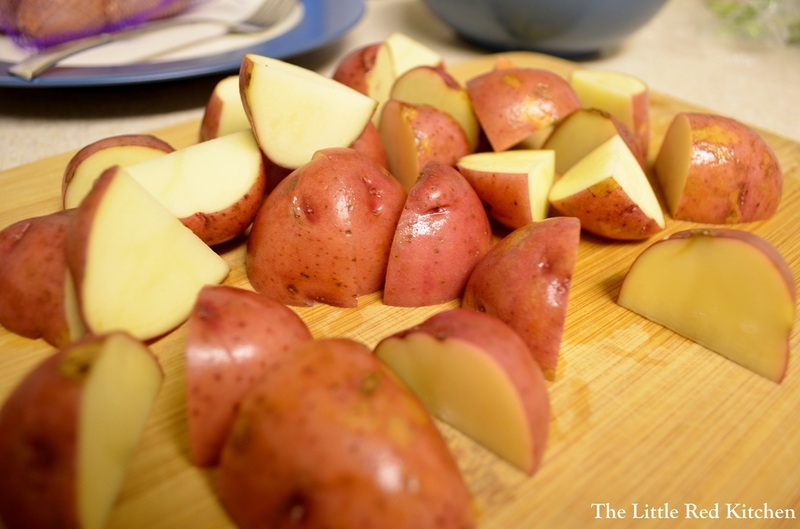 Cut the potatoes into about 1-inch pieces. 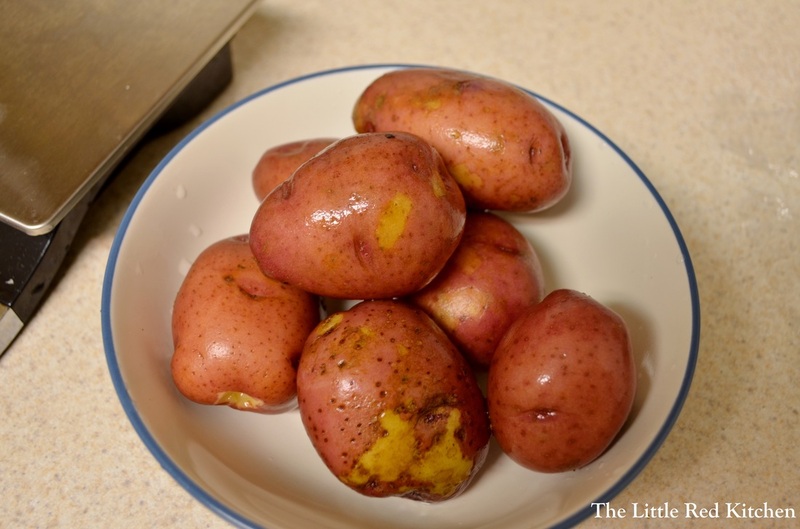 Depending on the size of the potatoes this could mean halving them or quartering them. Add the olive oil and garlic to a cold 10-inch skillet or wide-bottomed saucepan. 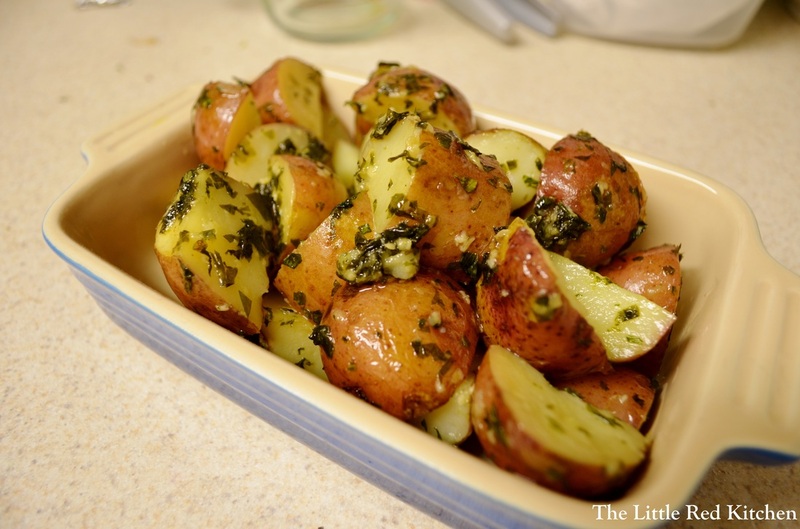 Heat it over medium-low heat, and when the garlic starts to sizzle, add the potatoes, parsley, salt, and a tbsp. of water. Stir to evenly coat the potatoes, cover, and cook for about 10 minutes, until the edges are starting to turn translucent. After the first 10 minutes, give everything a stir, then re-cover and cook for another 10 minutes, or until the potatoes are cooked through. When you can insert a paring knife into a potato piece and it meets no resistance, you are there! 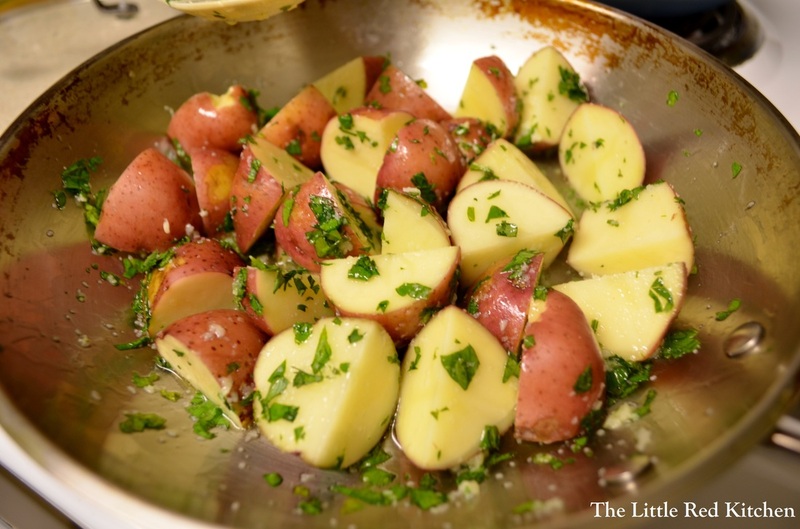 Simply pour the potatoes into a dish and serve!